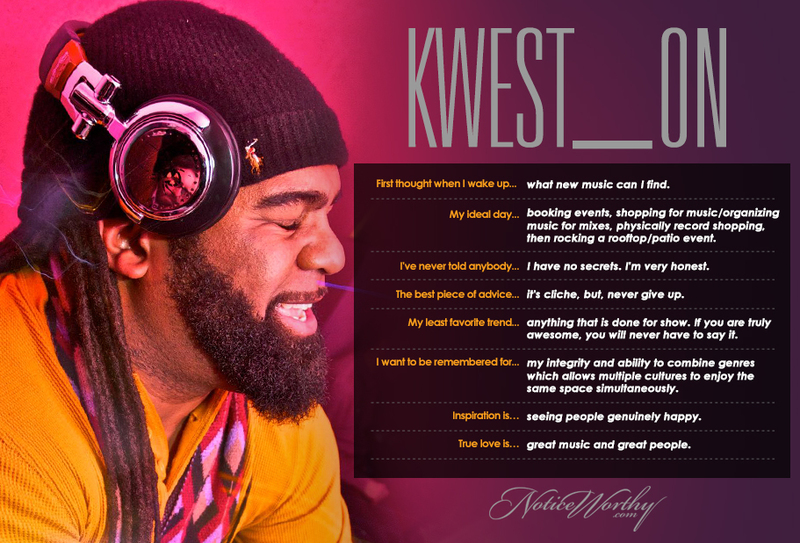 Raised on Chicago House and fresh on the scene when hip-hop was king, independent DJ Kwest_on cultivated a signature style. Inspired to start a weekly party defining the true meaning of having a good time, Organic was born. Other parties on heavy rotation: The Freedom Party, We Love Soul, and a residency at Untitled.